A familiar face amongst Glee’s marketing team has reason to celebrate as he becomes the show’s new permanent senior marketing executive. 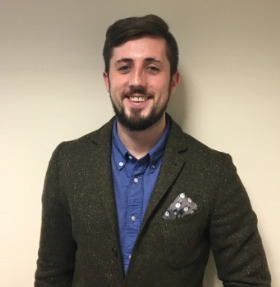 Luke Murphy will be well known to many Glee exhibitors, thanks to his involvement in the 2016 show under his previous role as senior partnership executive, which also saw him work across Spring and Autumn Fair, Pure and Jewellery and Watch. In his new position, Mr Murphy will be leading the development of Glee’s brand and marketing plans, and helping to build the long-term strategy for the show. The senior marketing executive role will also see Mr Murphy responsible for the management of Glee’s full marketing campaigns across email, online and social media channels, as well as working with both Glee’s creative teams, and media and trade association partners.